Harry Kane's (£10.9m) second-half strike proved decisive against Sunderland, helping the forward earn his first Fantasy Premier League bonus points of the season. 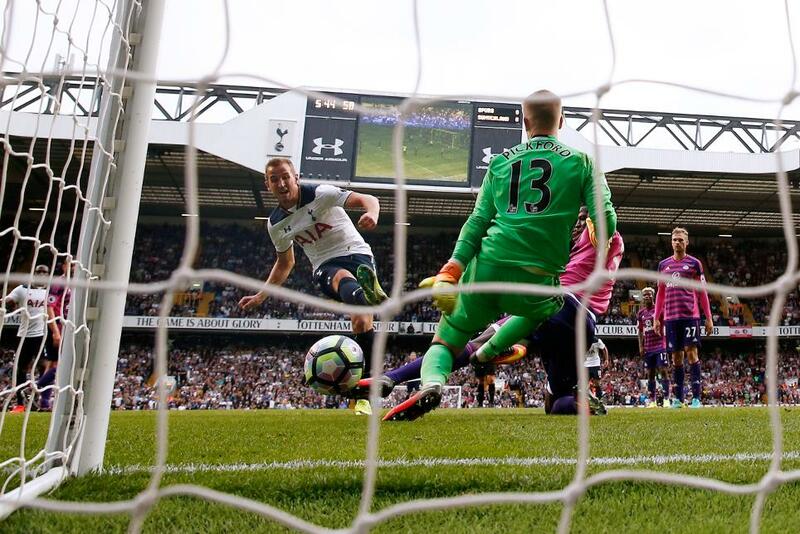 His second goal in as many Premier League matches, Kane's FPL prospects were on the up before being put back on ice as he succumbed to an ankle problem. Five key passes and three successful tackles helped Kane claim the maximum three points via 38 in the Bonus Point System (BPS). His close-range winner was coupled with a third clean sheet for the Tottenham Hotspur defence, which earned recognition for full-backs Kyle Walker (£5.7m) and Jan Vertonghen (£5.5m). Walker also won three tackles along with five recoveries as he collected 33 BPS to win two points; the defender has been awarded bonus points in all four of the Premier League matches he has completed this season. Mauricio Pochettino elected to shift Jan Vertonghen to left-back in the absence of Danny Rose (£6.0m) through injury and the Belgian responded by claiming a single bonus point. Vertonghen won two tackles and contributed 11 clearances, blocks and interceptions for 32 BPS. Kane topped the ICT Index with his highest tally of the season so far, earning 21.8. The striker fired in three efforts on target, all from inside the box to return the biggest Threat score on show (109). Together with Heung-min Son (£7.4m), he dominated in the Index as Spurs amassed a staggering 31 attempts on goal. The South Korean contributed another eye-catching shift to follow his two-goal haul at Stoke City in Gameweek 4. Son earned 17.8 on the Index in that game, but bettered that against Sunderland, registering 18.4 overall. He supplied the most passes in the final third, finding the target with six of 15 crosses on his way to providing five chances for team-mates. Son was also a constant threat, firing in no less than seven attempts on goal, five from within the penalty area. Kane's setback soured the Spurs victory, although the club have yet to reveal the extent of the injury. Should he face a spell on the sidelines, FPL managers will be alerted to the potential of his likely replacement, Vincent Janssen (£7.8m). Son's effervescent displays are beginning to warrant attention. He has started the last three in all competitions and could represent outstanding value. Erik Lamela's (£7.1m) starting role continues to be in doubt, with Christian Eriksen (£8.4m) also looking far from secure having given way to Moussa Sissoko (£7.0m) for Sunday's win. Prospects in the Sunderland camp look dim following four defeats in five. Jordan Pickford (£4.0m) provides the one bright spark. Outstanding at White Hart Lane, the 22-year-old has returned two save points in each of his three starts thus far. In attack, Jermain Defoe (£7.2m) was starved of service throughout but will now look to back-to-back home encounters for improvement.